Premium Marine, Inc. is a manufacturer of fishing, cruise, luxury and touring pontoon boats to be used by recreational boaters and families. Headquartered in Wyoming, Minnesota, the company distributes its products via dealers throughout the United States. 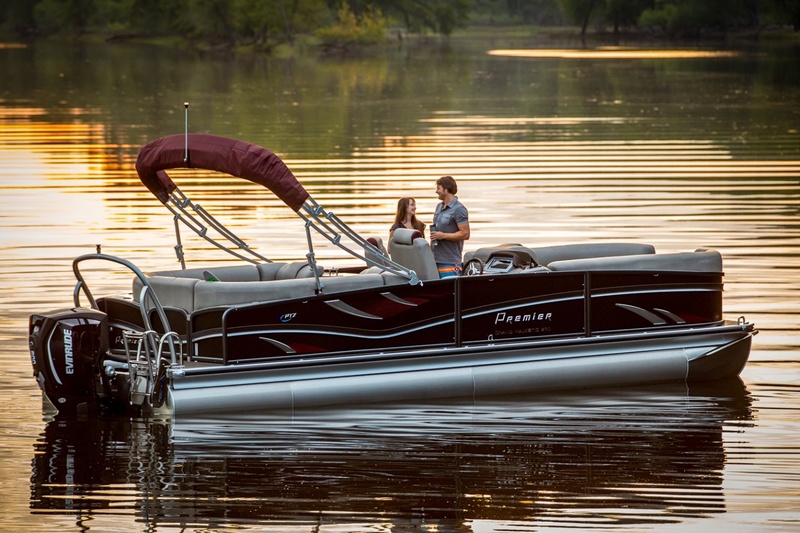 An independent business, Premier Marine was founded by Robert Menne in 1992, and has since been owned and operated by the Menne family, making it America’s only family-owned, premium pontoon brand. Premium Marine is well-known for offering state-of-the-art pontoon boats that are ideal for family and recreational use. Their boats have all necessary facilities required for a smooth boating experience, including (but not limited to) electronic appliances, canvas, fishing equipment, galleys, furniture, helms, changing rooms, and pontoon slides. In its 25 years of operation, Premier Marine has made a name for itself in offering pontoon boats that have a classic design, are styled distinctively and engineered perfectly. As a premier pontoon brand, Premium Marine, Inc. has carved a niche for itself in the pontoon industry by employing the best architects, designers, assemblers and engineers, all with the aim of making sure that their product is second to none. Their aim is to make sure that all the pontoon boats they manufacture are practical in design, show quality craftsmanship, and maintain every necessary safety standard. On June 19, 2017, Premier Marine Inc. filed a voluntary petition for reorganization under Chapter 11 in the U.S. Bankruptcy Court for the District of Minnesota.